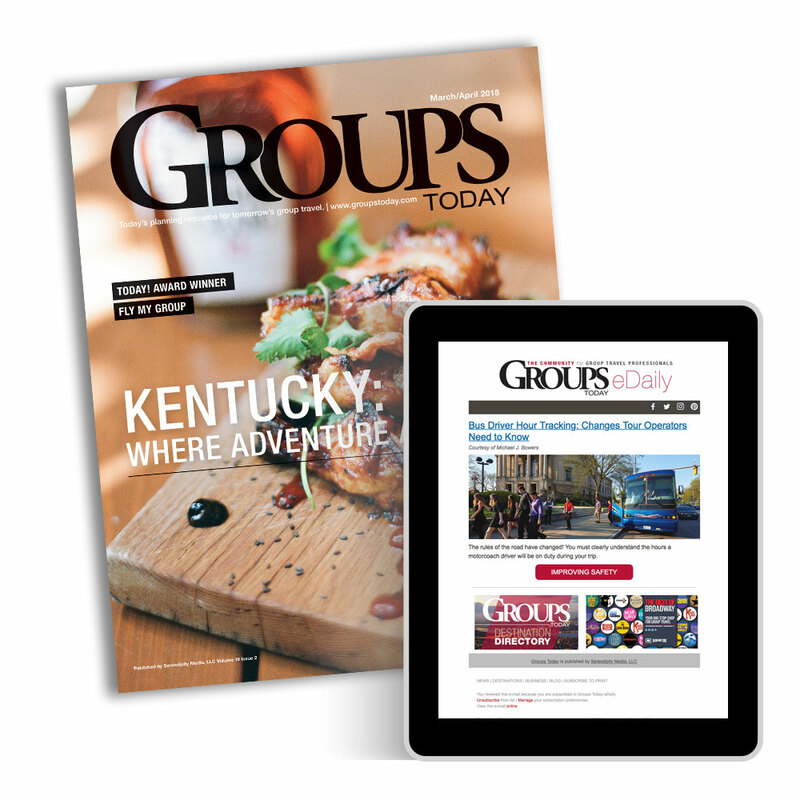 BONUS: Groups Today magazine's digital edition is included free! eDaily - Daily e-newsletter with industry and business news in one bite-sized e-mail each morning. eDaily Select - A bi-weekly round-up of our top-read content. Print Magazine (6 issues/year) - Top group destination features, business, leadership and education articles, planner profiles and industry news— there's something for everyone. Professional Development - Invitations to webinars, contests, events and more. GT Digest - Quarterly roundup of our best business related content. Groups Today Center Stage - Special offers, events and other promotions from trusted partners. Groups Today is published by Serendipity Media.